Despite a strong run to California’s pinnacle prep basketball game, Sheldon High’s momentum faded quickly against the NBA-offspring superteam from Sierra Canyon-Chatsworth. It became apparent by halftime that they were outmatched. 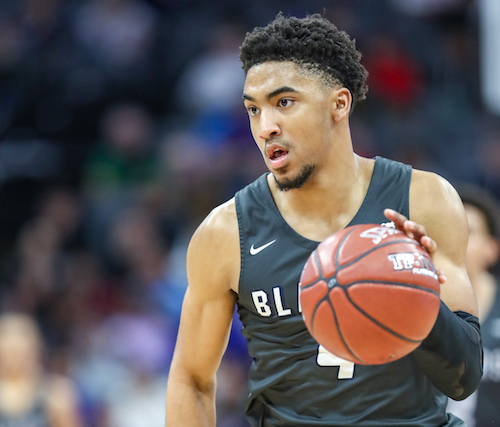 Featuring notable playmakers Scottie Pippen Jr. and Kenyon Martin Jr., the nation’s top-ranked Trailblazers lit up the Golden 1 Center scoreboard and never took their foot off the gas. Their emphatic dunks, stingy defense and dominant performance in the paint put an exclamation mark on a 32-win season as the Trailblazers won 76-52 to claim their second-straight state title. Martin Jr. recorded a double-double as he led all scorers with 23 points while adding 12 rebounds in 30 minutes. After the game, he pointed to his teammates as the reason for his in-game success, stating they make everything easier. Martin Jr. was dominant in the lane from the tip, but the lopsided score wasn’t all on the Huskies’ defense. Despite playing on this stage a year ago, Sheldon looked shaky early on offense as they turned the ball over and missed transition layups — a key offensive feature of their win over Modesto Christian in the NorCal Championship game. 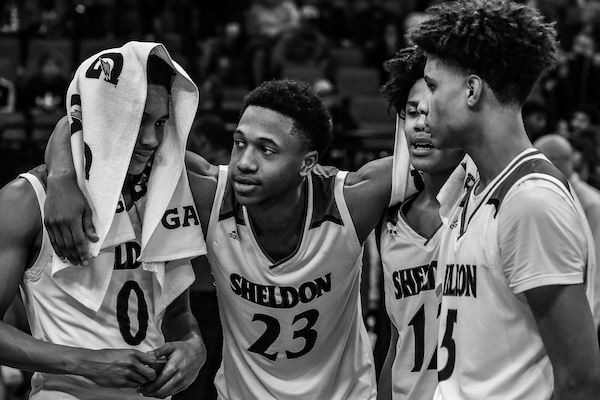 Whether it was nerves or bad shot selection, Sheldon started 1 of 7 from the field and trailed Sierra Canyon, 10-2, halfway through the first frame. “I thought we played pretty good in the first quarter, but after that, it went downhill,” Sheldon’s coach Joey Rollings admitted. 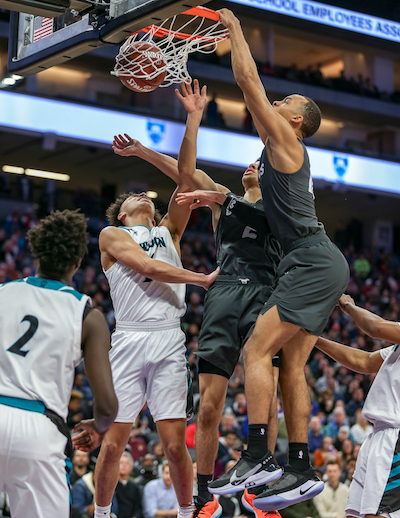 Huskies star junior Marcus Bagley celebrates a bucket for Sheldon during the state final. Although the Huskies put together a late run to end the first quarter and pull within three, 14-11, the Trailblazers exploded in the second frame. Sierra Canyon doubled-up Sheldon, 28-14 and really took control thanks to a 17-2 run, which included a handful of dunks from Martin Jr. and freshman Amari Bailey. One of those dunks came at a cost. Bailey’s second slam brought the entire Golden 1 Center crowd to their feet, but only some were cheering. Instead, fans let out a simultaneous groan as they watched the standout first-year player take a hard foul and fall hard on his back after driving to the rim for the left-handed jam. The subsequent replays took everyone’s breath away as it looked as if Bailey couldn’t brace for his fall and may have hit his head against the hardwood. After a few moments on the ground, Bailey — an early UCLA commit — returned to his feet and stayed in the game. “I didn’t actually know that I made the dunk,” Bailey admitted afterwards. Sierra Canyon freshman Amari Bailey converts on one of his two tone-setting dunks during the first half. That dunk epitomized the first half — Sheldon allowed easy looks, but made it difficult to score at times as they forced eight steals. And despite 12 points from junior star Marcus Bagley, the Huskies trailed 42-25 at the half. Rollings hoped his squad would come out stronger following halftime, but he needed a quick timeout in the third period after a 9-2 run for Sierra Canyon. That didn’t slow down the Trailblazers. By the end of the third, Sierra Canyon had extended its lead to 21 points, 60-39, and hopes were bleak for the Huskies. 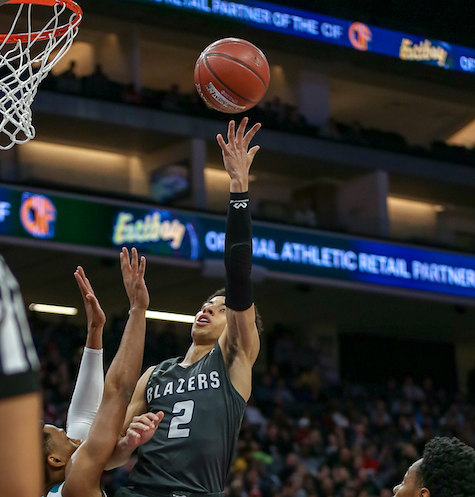 Martin Jr. and Cassius Stanley had five points each in the third quarter and Stanley added to the Blazers’ highlight reel just a few minutes into the fourth with an up-and-under, two-handed reverse dunk. For Stanley, this was his third state championship in his high school career after claiming the 2016 Div. IV title with Harvard-Westlake-North Hollywood before transferring to Sierra Canyon in January of 2018. Scottie Pippen Jr. drives for a finger roll during the first half of the state championship game. He’ll play for Vanderbilt in the fall. 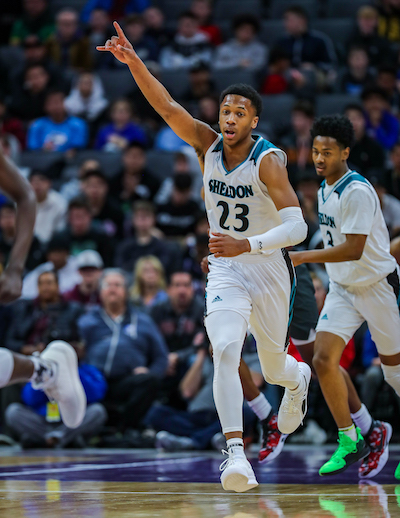 A few players from Sierra Canyon’s roster were also familiar with Marcus Bagley — the younger brother of former Trailblazer and current Sacramento Kings player Marvin Bagley III — as he spent his first year of high school with the program and played in 26 games. The rematch added an interesting twist to the matchup. 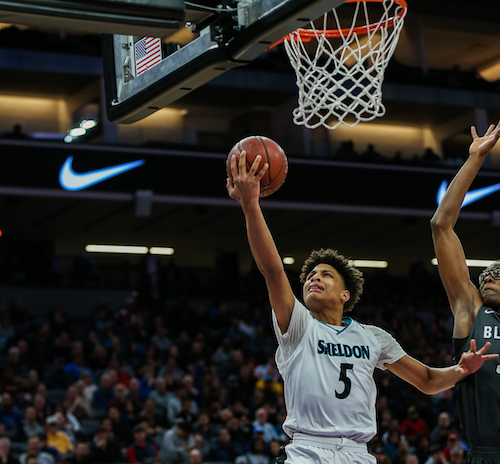 Bagley said he plans to return to Sheldon next year, which would mark the first time in his prep career he’s played back-to-back seasons with the same team. “We have a lot of potential for next year,” he added. “You know, a lot of juniors coming back. The Huskies will lose six seniors to graduation this spring, but 13 players should be back for the team which finished No. 1 in SportStars’ NorCal Top 20 Rankings. And you can bet they’ll have worked on their stroke this offseason. 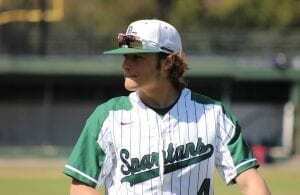 Sheldon junior Darren Tobias is one of 13 Huskies who will be returning to the roster for the 2019-20 season. Shots weren’t falling for Sheldon on Saturday and in the final three minutes, the game turned into a dunk show for Sierra Canyon. Stanley led the party with a breakaway up-and-under reverse slam that ignited the crowd. Scottie Pippen Jr. added an alley-oop to Martin Jr. before Bailey recorded a steal and threw an alley-oop to himself off the glass for a two-handed slam. In all, the Trailblazers threw down 12 eye-catching dunks. When the final whistle blew, players hugged and high-fived — Sierra Canyon was happy, no doubt, but no one was crying. They acted like the 76-52 victory was expected and that they’ve been here and done this before. Despite the 24-point win, Chevalier pointed to a number of mistakes after the game, and his players nodded their heads in agreement. The boys side took care of business, but coach Chevalier’s daughter, junior guard Ashley Chevalier for the girls team, also came through. She tallied a game-high 20 points in her team’s victory over Pinewood as Sierra Canyon swept both of the Open Division titles. That’s what brought a tear to coach’s eye. 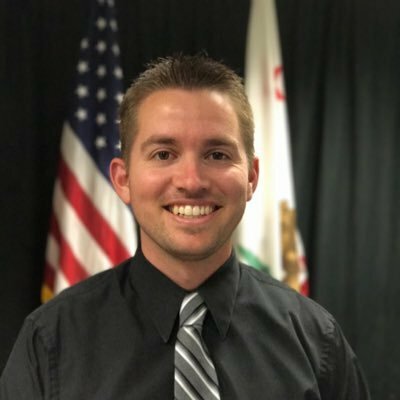 Steven Wilson is a seasoned writer who covered the Roseville and Granite Bay area as a Sports Editor for nearly three years with Gold Country Media. 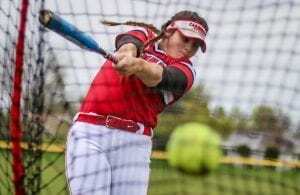 Wilson now covers NorCal high school sports for SportStars.